I'm the president of a HOA and I hired them to monitor my association. From my standpoint, they're amazing. We've done business with them for a long, long time. I would never dare consider someone else. They're reliable, very efficient, and they know what they're doing. I know the quality of their work is excellent. Not only do I use them for the HOA, but I've chosen to use them for my individual use. They're reliable, on time, professional, and easy to work with. We personally liked the fact that they didn't make us pay right away. They're definitely flexible when it comes to working out a financing plan. They are very reliable, honest, professional, and they really know what they are doing. I like the fact that they have a good heart. When I had an emergency, they took care of me. They sent out the right person. My gate is old and hard to fix, but they were able to fix it. I have been using them for 15 to 20 years. 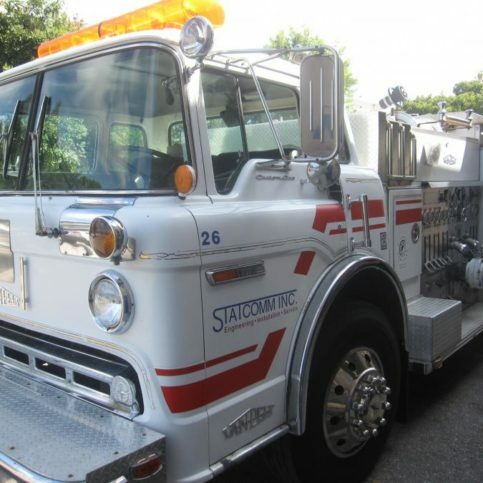 STATCOMM Inc. is a complete fire alarm and life safety company that’s able to assist clients throughout the Greater Bay Area with tests and inspections required by the National Fire Protection Association (NFPA) and State of California. All of the company’s inspectors and technicians are California State Certified. 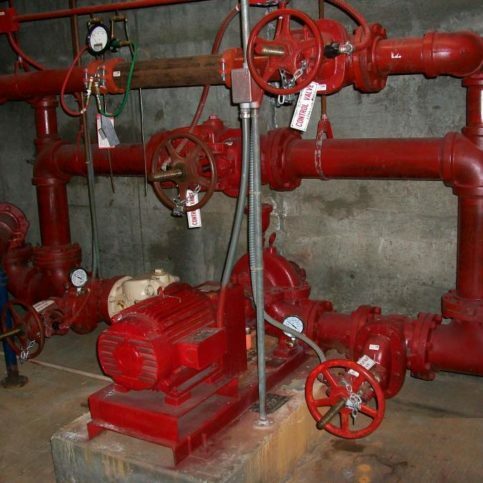 As a multi-faceted fire and life safety company, STATCOMM tests, inspects, services, designs, and installs fire alarms and fire sprinklers; services, designs and installs automatic gates, doors, and tele-entry/access control systems; and provides exit and emergency light testing and NFPA 25 five-year certifications. Because Statcomm is a provider of multiple services, it can provide clients with a single source for critically important safety services, which simplifies the lives of property/community managers, building and facility owners/managers, and individual homeowners. The company provides 24/7 emergency service and two-hour technician response time. “With more than 25 years in this industry, we’re one of the most knowledgeable and capable fire and life safety companies around,” says Executive Administrator Laura Yules. DIAMOND CERTIFIED RESEARCHED CAPABILITIES ON Statcomm Inc.
DIAMOND CERTIFIED RESEARCHED ARTICLES ON Statcomm Inc. Excellent customer service is a top priority at Mountain View fire protection company STATCOMM Inc. “We run our business like a family, and we treat our customers like they’re part of that family,” says Executive Administrator Laura Yules. 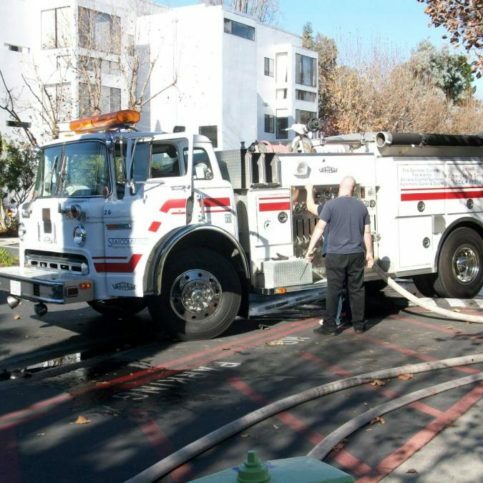 “We’re in constant contact with most of our customers, and we always want them to tell us how we’re doing.” In addition to good customer relationships, the company is proud of its excellent rapport with most fire departments in the Greater Bay Area. 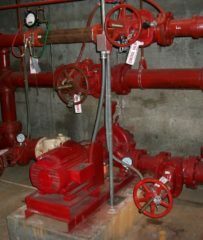 As specialists in fire safety for commercial properties, STATCOMM understands the unique scheduling needs of its clients. “We’ll come in after hours and do the testing so employees aren’t disrupted,” says Ms. Yules. “We can even arrange for a Saturday test and inspection.” The company can also make special arrangements for condominium owners so they don’t have to miss work to let STATCOMM personnel into their homes. Ms. Yules says STATCOMM is also known as an industry expert in automatic gate and access control systems. “We design all our own gates, so every one of them is unique.” The company’s technicians receive special training to become Certified Gate Operator Installers. If system problems occur, they’re immediately dispatched to make the needed repairs. STATCOMM offers its customers a 24/7 emergency service guarantee, with a response time of two hours. When it comes to fire protection or complete life safety systems, look for a company that offers the services you need to remain code-compliant. Working with a single resource rather than multiple vendors is an important distinction. According to your particular needs, a good company should offer some or all of the following: fire alarm systems, fire sprinkler systems, automatic gates, tele-entry and access control, fire-rated and roll-up doors, inspection and testing, and design and installation. An important first step in your research is to verify that the company is licensed by the State of California and is fully insured and bonded. Then, inquire about its employees. It’s easier for a company to guarantee quality workmanship when it uses its own employees and not subcontractors. Consider going a step further and asking for customer referrals. You should call a few of them to get some opinions on how the company conducts its business. If there’s a website, visit it and read what the company has to offer. Also, find out if the company is certified by Underwriters Laboratories (UL). UL product certification programs are accredited by the U.S. Occupational Safety and Health Administration (OSHA) and the American National Standards Institute (ANSI). UL operates under its own authority as an independent, nonprofit, nongovernmental organization that tests and evaluates products for public safety. A company that has UL certification knows the organization will stand behind the products it installs. This provides another layer of security and guarantees quality for customers. A: Yes. Although we may not be the least expensive, we provide our customers with superior service. There’s no one in the industry better-educated than we are, and in turn, we take the time to thoroughly educate our customers and walk them through every aspect of their system. 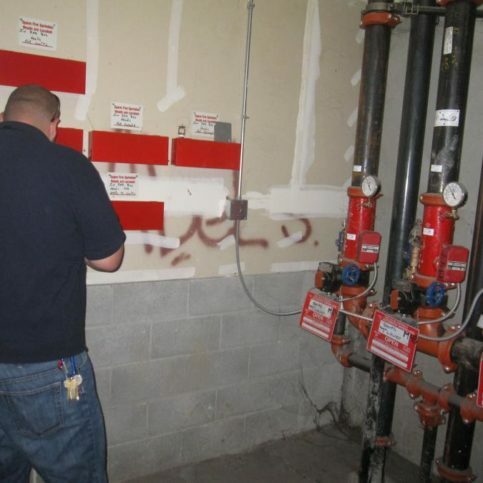 And while it’s necessary for the semi-annual and annual inspections of fire alarms to be conducted by a licensed technician, we’ll often train one of our customer’s people to do quarterly inspections. Then they just have to call us and let us know that it’s been done. Q: What’s the timeline between a potential customer’s initial phone call and the installation of a system? A: It all depends on the job. Taking into account the customer’s schedule and ours, we try to make an appointment within a week or two. At that time, we’ll do a walkthrough so we can see the property and talk to them about what they need and want. Our proposal goes out the following week. In the case of city and state businesses, we have to do bids—and they have their own established timelines. Q: Do you offer any product warranties or guarantees? A: Yes. The manufacturers’ warranties always apply, and we also guarantee our workmanship for one year. Q: Are you licensed, insured and bonded? A: Absolutely. We’re always happy to provide documentation when requested. 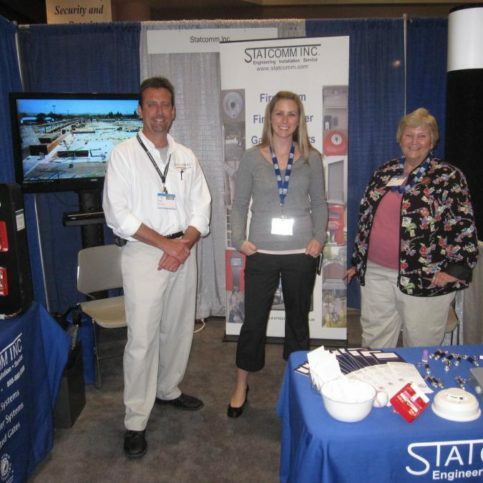 SELECTED PHOTOS FROM Statcomm Inc.
Corey Haney is a field supervisor at STATCOMM Inc., a Diamond Certified company. He can be reached at (650) 988-9508 or by email. A: Talk radio—I’m a bit of a news junkie. A: Probably my truck. I was a real gearhead in high school and I had a ’64 Chevy hot rod truck. I still have it, actually. 1. Test fire safety equipment. The simplest way to reduce fire risks in your home is to regularly test and inspect all fire safety equipment. This includes smoke and carbon monoxide alarms and fire extinguishers, both of which should be tested monthly and replaced by their respective expiration dates. If you have older, battery-powered smoke alarms, be sure to replace the batteries one to two times per year. Newer smoke alarms have built-in 10-year batteries, so you don’t need to replace the batteries—just test the units every month and replace them at the 10-year mark. Fire extinguishers typically last between five and 15 years, so keep track of expiration dates and replace them as needed. 2. Close your bedroom door. While this may seem like a strange tip, the facts confirm that closing your bedroom door before going to sleep at night could potentially save your life. More than half of house fires occur between 11pm and 7am, when most people are sleeping. In the event of a fire, a closed bedroom door can reduce the amount of carbon monoxide that enters the room by up to 90 percent, as well as protect against extreme temperature increases. MOUNTAIN VIEW — Host, Sarah Rutan: When it comes to fire safety in the home, simple, proactive steps can go a long way toward reducing risk. Today we’re in Mountain View with Diamond Certified Expert Contributor Corey Haney of STATCOMM Inc. to learn more. Diamond Certified Expert Contributor, Corey Haney: Today, I’m bringing you some expert tips from Statcomm. These tips are really important, and they could help save your life someday. Our first tip is to make sure that you close your door when you go to sleep at night. Over half the house fires happen between 11:00 p.m. to 7:00 a.m. During that time if you keep the door closed, you can reduce the carbon monoxide in your room by up to 90 percent, as well as reduce the temperature by up to 900 degrees. In addition to this, you want to make sure that you have working smoke detectors that are replaced every ten years, as well as making sure that you have a functional fire extinguisher and checking to make sure that it is charged and in good working order at least once a month. Thank you very much. Diamond Certified RATINGS ON Statcomm Inc.
Statcomm Inc. : Average 8.5 out of 10 based on 450 unique customer surveys of customer satisfaction. They are a good company. I have no particular statement. They actually help a handful of us here at the office, they have been pretty good about everything. You don't have to hold their hands through the process, they know what they are doing. They are very knowledgeable, they have good techs, they are responsive, and were a great help. They knew exactly how to execute what we needed. They have a very experienced staff that is very dedicated. Just the time they took to explain the problems with the systems and what needs to be done for compliance, it's pretty complex and they really helped us understand what it needed to be up to code. I would tell people to schedule an appointment with the property of concern, they are very knowledgeable, they know how to manage different and multiple tasks, and they are great with bringing certain things to code. As far as telephones, getting documents, receiving documents, and faxing, or what not, it was a "10" across the board. They completed my requests in a timely manner for Mission Gateway. They have really good customer service, they put their customer first. They were able to cover all the needs on this site in one visit, which was very helpful. I personally like to be knowledgeable of the work I'm paying for, I like that they were able to give me details on the services and explain what would be done. They were also able to give me suggestions for future things that may come up. I would say that they are very responsive, do what they say they will do, and do it within the time discussed. They kept to the timeline. Good work, and everything looked really nice. They were there on time and did nice work. They are our preferred vendor for every one of our door needs. I think one of the technicians was super informative and answered all our questions for a door that we ordered for better accommodation that helped with residences. I felt he gave a good explanation of how to use the door and how it would help. I think they were great. There have been multiple sites they work on within the management company, they are our go-to people for the services they provide. I think it's the quality and reliability. I think they were good. I mean from my desk they were great, I never had complaints from the manager or owner at the hotel. I think it was their reliability. When I needed something, they would respond quickly. They are fast and reliable. We have things that happen, and they are quick to call us back, and get someone out to help. They are very detailed, same tech most of the time, if it's service he tells us exactly what it is he did or needs to be done. They have always been solid and reliable for me. I have been using them for a long time and they keep up with regulations and cutting edge solutions. Their knowledge, without it the property would be about 10 years outdated. These guys have been such a help from start to end. They were able to cut three other contractors I used to have to coordinate with, their quality is much better, and they have a great front office team for any requests. Just what I told you, they are a one-stop shop for the most part.